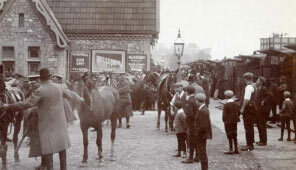 Local animals were requisitioned by the army and sent off into battle despite the protests of their owners. Horses and mules were trained for battle and transport and dogs as rat catchers and messengers. Pigeons and canaries were used as couriers or poison gas detectors. 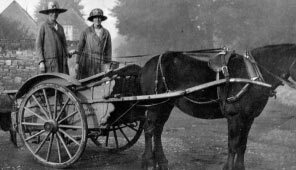 Those working animals left behind; plough horses, sheep dogs and cart horses, continued to do their usual, valuable service. Animals played a big part in keeping up moral. They brought much needed comfort and support to many through the hardships of war.